Advanced orders are now being taken for this sensational product. This factory authorised clip runs about 10 minutes, but illustrates the security potential. How much protection do you want? Can Schlage Securekey Locks Be Masterkeyed? Schlage Securekey Locks cannot be masterkeyed. Likewise, neither can Kwikset Smartkey locks. In fact, none of the current crop of self-rekeyable products on the market can be masterkeyed. 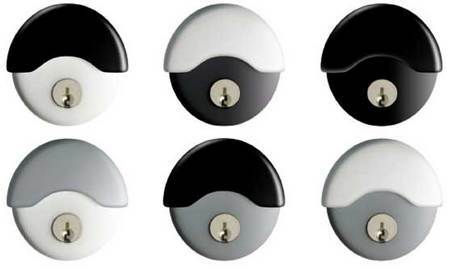 The fabulous Matrix key system invented by a talented locksmith engineer in Australia, can offer rekeyable attributes (limited) while also being part of a master key system. We have decided to make our foray into the world of Automobile Key origination and duplication. Personally, I cut my teeth in automotive for most of my first 20 years in the locksmith trade so it is not really that new for me. When I started my business here in Saint Louis, I decided initially to not offer Automobile Key creation services due to the steep prices for purchasing, maintaining and keeping inventory of parts, key blanks, machines, keying kits, transponder programming equipment etc. The extreme cost to set up, maintain, educate/train and manage the wide intricacies of offering car, bike and truck duplication and origination services, means that clients will be forced to pay significant monies to have these services performed for them. However, everyday I field increasing numbers of calls from customers intent on finding a trained professional, with field experience to offer the services they are seeking. Sure there are a few operators in this region with knowledge and experience who are providing these services, but to constantly receive inquiries from customers, when we actually advertised in the past that we DO NOT make car keys, indicates that the local needs are not being met or serviced properly. We therefore decided that we would slowly build up suitable machinery, programming equipment and inventory supplies and begin catering to the needs of our market. A true business, measures the market potential of it's products and services and makes incremental changes to it's initial business plan as time progresses, to attempt to provide product and service solutions to meet potential clients needs. We being a proactive, forward thinking and evolving company, are constantly looking for new unique and specialty products and services to provide to our customers. We just received some new programming machinery to enable us to originate and duplicate car key transponders (chip keys). We recently purchased special machinery to duplicate the high security 2 & 4 track car keys. We purchased top of the line computerised code key cutting machinery for conventional automotive, commercial and residential key originations, about 18 months ago. We are continuing to build our infrastructure before we make automotive key making another product and service of our business and we look forward to your custom soon. I just received my current order of the sample Combina handles. I have been showing around a display model that is attracting significant interest. Architects, Interior Designers, Aged Care Homes, are liking the product. I recently sold some Combina designer handle sets to a discerning customer in New York City, tailored to suit his exact taste. They are totally white in color and look terrific. I showed to an aged care home recently and they loved it. 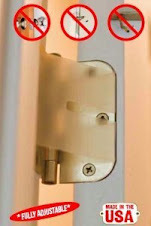 No more handle to turn, simple design, easy to use. Perfect for arthritis sufferers. I am blown away by the choice of options this product is available in. From the home of Ferrari, Lamborghini, Fiat, Maserati, Da Vinci, Michelangelo this stylish and impressive handle continues the 35 year tradition of use in Europe. 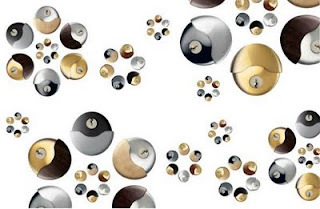 The design options to suit virtually any decor are impressive. Color coding is a brilliant innovative way to identify individual taste. 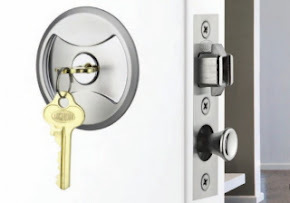 In the United States, the common residential door (interior or exterior) backset depth (the distance between the edge of the door and the center of the handle) is 2-3/8" (60mm), while the common commercial backset depth is 2-3/4" (70mm). The common cross bore (the hole in the door for fitting knobs or levers) diameter is 2-1/8" (51mm). Meroni handles are built to very exact 40 mm (1-9/16") cross bore diameter. For this reason, Meroni also provide wider diameter rosettes to allow installation to the common diameter found in North America. Meroni provide your choice of backset depths including 60, 70 and 80 mm depths. The strike plates are available in brass or silver, come in rounded or square forends (as do the latch mechanisms - backsets). Many of the product lines can include your choice of color rosette to match the selected finish, although many customers tend to like the contrasting color rosettes. We can now personally display working models to clients, to gain a feel for the end product. As a special bonus, selected clients can now enjoy their company logo embossed on the cover plates to further personalize their product selections. Pickbuster is a product made by UAP in Great Britain. It was especially designed to combat the bump key phenomena that presented itself a few years back. 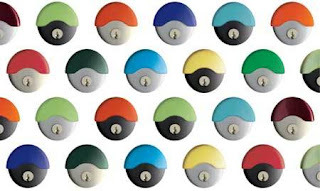 The entire marketplace felt betrayed by pin tumbler lock manufacturers for not providing protection against the most simple form of covert entry. 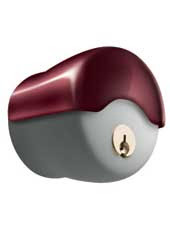 Well, Pickbuster was released as the solution to treat all locks without replacing cylinders with true bump proof locks like Abloy or Bilock. Unfortunately, the product is nothing but a hoax. 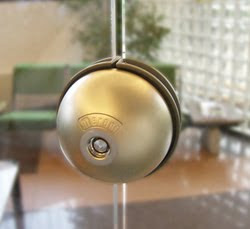 We appear to be receiving numerous hits and inquiries about this fabulous product - The Meroni UFO. Many inquiries include the desire to see the installation instructions. The kit comes with an installation instruction page that includes standard installation and for thin sheet metal (to 2.5mm). 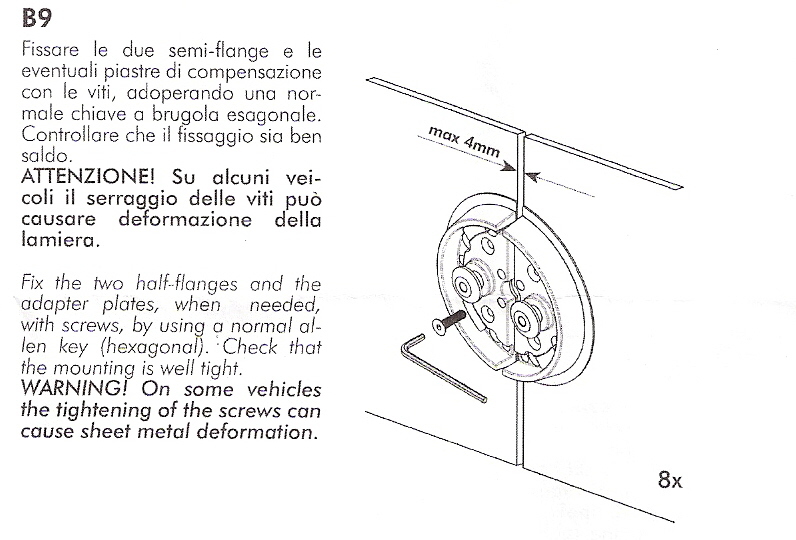 Essentially the instructions are the same, just that for thin sheet metal applications, there are a few extra steps. We are happy to include the following factory installation instructions for your benefit. These instructions are for the thin metal application. 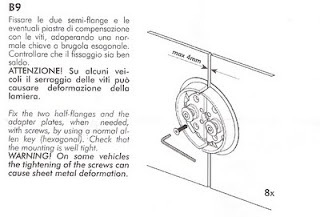 NOTE: The instructions are written in Italian and English. CISA Not Servicing USA anymore. 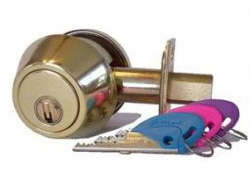 Pictured to the left is the CISA CS9800 Smart Lock. We previously posted about this product last year. While we still believe that CISA make unequalled quality products for the hotel market, it is most unfortunate that another Ingersoll Rand company has chosen to not support it's products in the US market. There are other manufacturers of superb quality hotel RFID locks. One we like to recommend is SALTO. 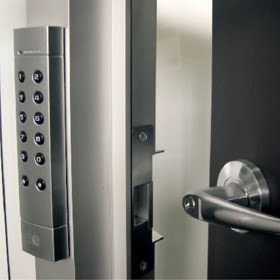 Salto produce modern super-high quality access control solutions, especially designed for hotels, schools, hospitals and condominium complexes. Their simple, wireless designs employ virtually impossible to hack card/rfid reader systems, that reduce the cost for installation, maintenance and service. 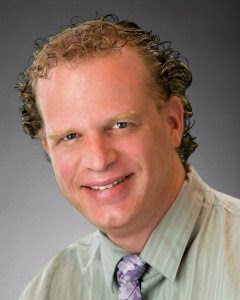 While it would have been nice to see CISA return to the USA market, there are other companies who see the value in servicing this market with products and services that are more competitively priced, aesthetically pleasing, using installation services that are more user friendly, economical and ultra-modern. Good bye CISA. It was fun working with, installing and servicing your products, but it is time to look to the future instead of burying our heads in the sand buckets of the past. Well it certainly has been a busy 2 months for me. No time to sit and write new articles for this site. We are happy to announce, we just received our display and test model of this newest addition to our inventory. The Battery Powered Electric Strike - By Lock Focus appears to be of excellent quality and functionality. It operates on 3 "watch type" lithium long life batteries that are easily available at just about any battery retailer, so purchasing additional or replacement batteries will be a cinch (pronounced sinch). We are currently putting it through it's paces and plan to start offering them for sale very shortly.